A question or a problem on the Apple iPad Pro 9.7? Create a discussion and our team will answer you! Here is a list of comparison tests available between the Apple iPad Pro 9.7 and others tablets. There is no opinion yet, be the first to add an opinion on the Apple iPad Pro 9.7. 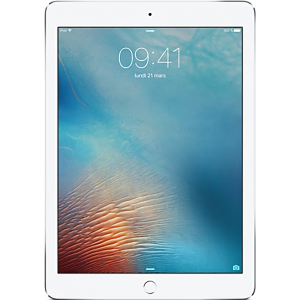 The Apple iPad Pro 9.7 has several versions, you will find the features of the WiFi - 32 Go version then on the (WiFi - 128 Go, WiFi - 256 Go, 4G - LTE) alternative versions, only with features that are differents form the principal sheet. 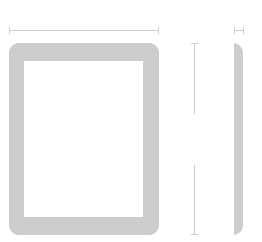 Information from the technical sheet of the Apple iPad Pro 9.7 are only indicative, if you notice an error, please inform us with the icon displayed on the right of each specifications.